A lot of emotions run through your mind as a preemie parent. The most memorable one for me was fear... not joy. I was scared. Scared for my baby, scared for the journey, scared for my husband and scared for my family. After an uneventful, healthy and happy pregnancy, having a baby born prematurely was not even on my radar. At a follow up appointment after a tiny bit of spotting, my husband and I were told I was 100% effaced and would be delivering our baby at 31.5 weeks. I had never felt any pain, contractions or any signs that something could be wrong. It really wasn't until I was getting ready to push that I realized what was happening. I kept thinking to myself, "But we haven't had our hospital tour... or our baby shower ... or finished the nursery! I've done everything by the book, how is this happening?" But sure enough, Santino ("Sonny") was born at 3 pounds, 12 oz on a Thursday afternoon in January, and I had no idea what the road ahead would look like. Our medical team did a wonderful job of offering support, but there were just times that I felt so helpless and alone. Leaving the hospital each day without my son and going home to an empty crib was simply devastating. After obsessing over pulsox readings, weight gains or losses and medical terminology I wasn't familiar with, a nurse gave me the best advice I could ever get: "You must rest and take care of yourself so you can see your baby." That definitely got my attention to slow down, turn more towards prayer and put some energy in seeking out people in the preemie community for support. I found it on a few websites on community chats and through friends of friends, realized more people knew someone that went through the experience. Speaking with these moms really helped me during this difficult time. It took me WEEKS to finally celebrate being a mom. And that makes me sad. I don’t want any mother to feel that way, ever. 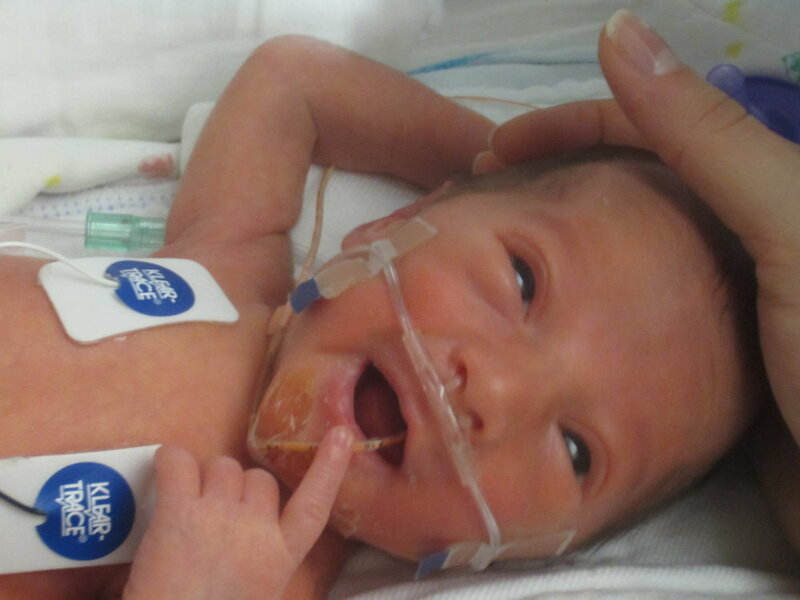 Sonny had many ups and downs through his NICU journey and there were times that I wasn’t sure if we were ever going to take him home. The one thing you hear from many NICU-experienced moms and medical teams is that the NICU journey is a rollercoaster. Five weeks into our stay, Sonny stopped breathing and turned blue during a feeding. The failure I felt that moment lingered for days. I didn’t even believe them when they told us he would be ready to go home just ten days later. Sonny is now a thriving six-year-old, and despite being a little guy, he has a big personality, is incredibly intelligent and is thriving. A little after Sonny turned two, we were excited to find out we were pregnant again. Despite our best efforts to bake baby #2 a little bit longer, without warning... he also decided to make an early debut at 30.5 weeks and 4 lbs 4 oz. Our experience the second time was just as scary and challenging as the first, but we knew a bit more what to expect having experienced it before. We again reached out to other preemie parents we knew to help comfort us and provide hope and encouragement. 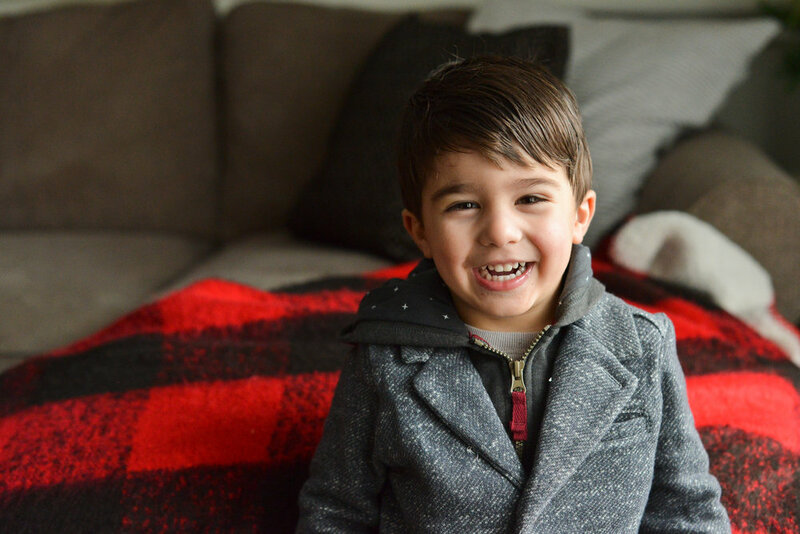 Salvatore’s NICU stay was only four weeks and he is now a big, rambunctious, thriving 3-year-old. In 2012 we created Team Sonny & Sal’s Crew in an effort to give back to the preemie community through the Cleveland March for Babies walk. We have had incredible support from our family and friends over the last seven years and have proudly been able to raise over $50,000 for March of Dimes research and programs. Seeing the tiny miracles each year at the walk has been incredibly special to our family and friends and we look forward to the event each year. Of course, these experiences changed me. Not only did I change because I was blessed to be a mother, but I was blessed to be a mother to a preemie. I was chosen for this role and while it wasn’t easy, I know many others journeys are much more challenging. But we all share this community and this language that is hard to describe. And it’s not just those of us who are parents to preemies, it's the grandparents, aunts, uncles, friends and co-workers. And we are the ones who can help support and lift up those who are experiencing it now. Project Preemie is a small way for us to continue to give back to the community that has meant so much to us. A simple care package or treat for a nurse can help make an impact to a day that may not be so great. A shared experience, or story from a fellow Preemie parent may help give hope to someone. And that is why we are here. And we are so grateful you are here for the journey.